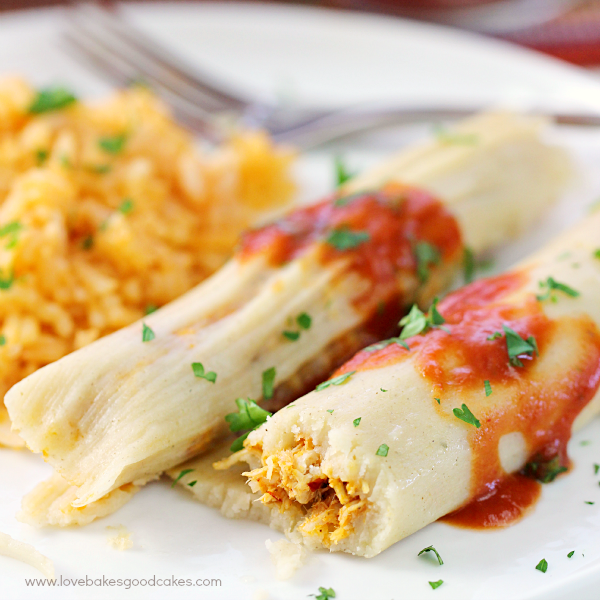 Make any occasion special with these Chipotle Chicken Tamales! 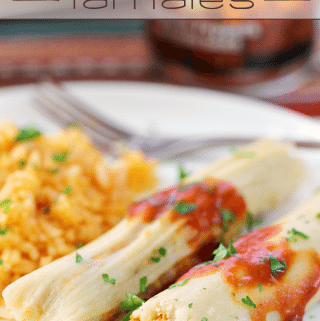 Although they take some time to prepare, tamales are easy to make – let me show you! 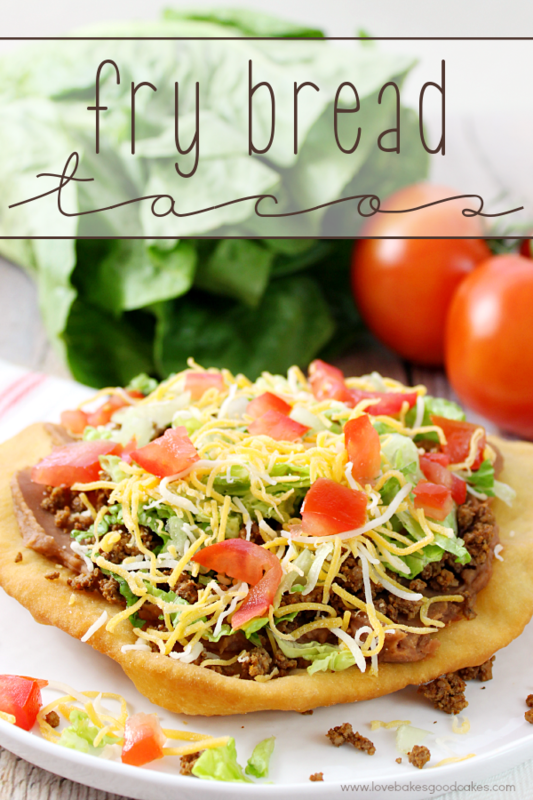 With the holiday season fast approaching, I have been dying to share this recipe with you! Tamales are a Mexican holiday tradition for many Latino families. For many years, I was intimidated at the thought of making my own tamales and often resorted to buying them from people selling them in parking lots – or if by chance I heard someone I knew was selling them, I always wanted to get two dozen! Little did I know that I could actually make them myself – and believe it or not, they’re not hard to make! Sure, they are a little time consuming, but definitely not hard to make. When I lived in the Midwest, an older Mexican couple (Raul and Maria) allowed me to come into their house so they could show me how to make tamales – and I am forever grateful to them for the experience! 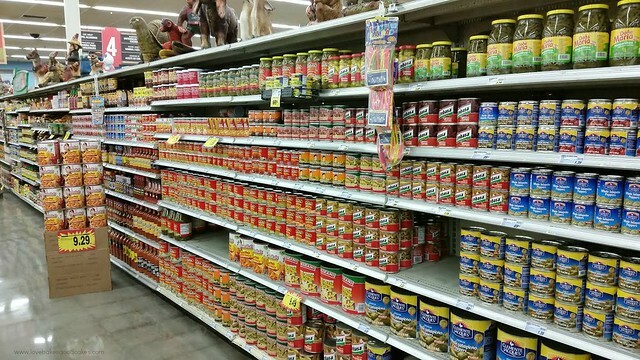 This year, I am thinking about giving our traditional holiday dinners a Southwest spin. 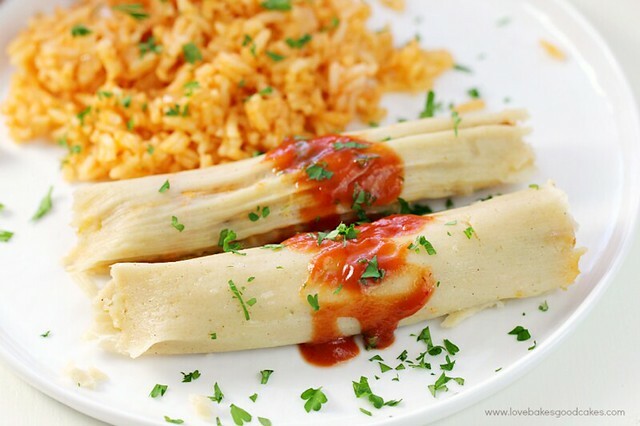 I am sure if these Chipotle Chicken Tamales (or any other tamales) make an appearance, my family will be loving it! For Thanksgiving, I am seriously thinking about tinkering with a Southwest rubbed turkey and a Southwest-style cornbread dressing recipe … who knows?! 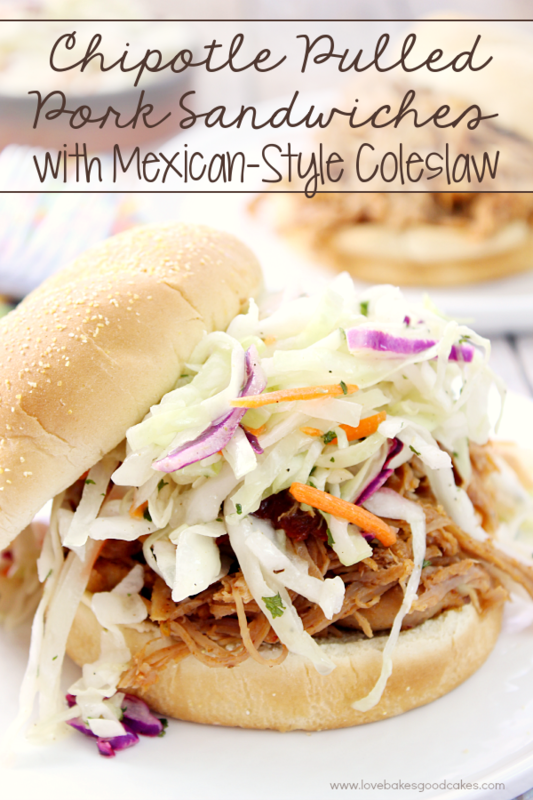 The amount of chipotle peppers in this recipe was perfect for my family. Not overly spicy with just enough flavor to know it’s there. Of course, if you prefer a spicier flavor, by all means, feel free to use more of the chipotle peppers and the adobo sauce. While shopping at Food City, I picked up the ingredients I needed to make these Chipotle Chicken Tamales. 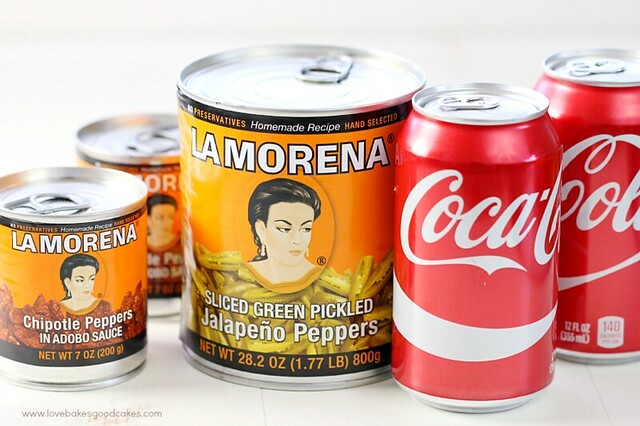 LA MORENA products add authentic Latino flavors to your dishes. I always have the chipotle peppers in adobo on hand because it’s such an easy way to add a little bit of flavor to so many dishes! 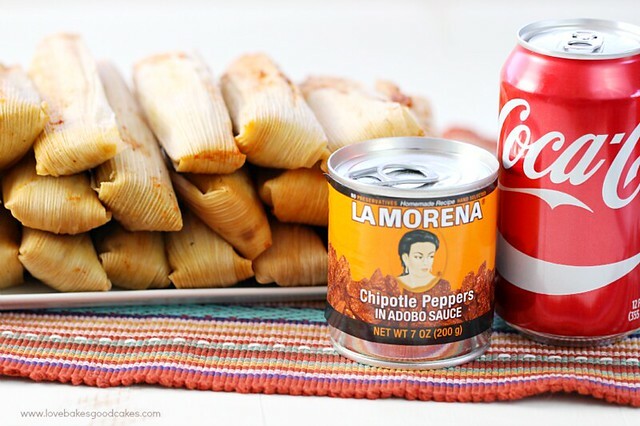 Knowing we needed drinks to go with our Chipotle Chicken Tamales, I picked up a 12-pack of Coca-Cola! It paired perfectly with the tamales. I also made Mexican Rice and served the tamales with a fresh side salad. Which reminds me, I should share the recipe for my rice soon – Brian loves it and requests it often!! 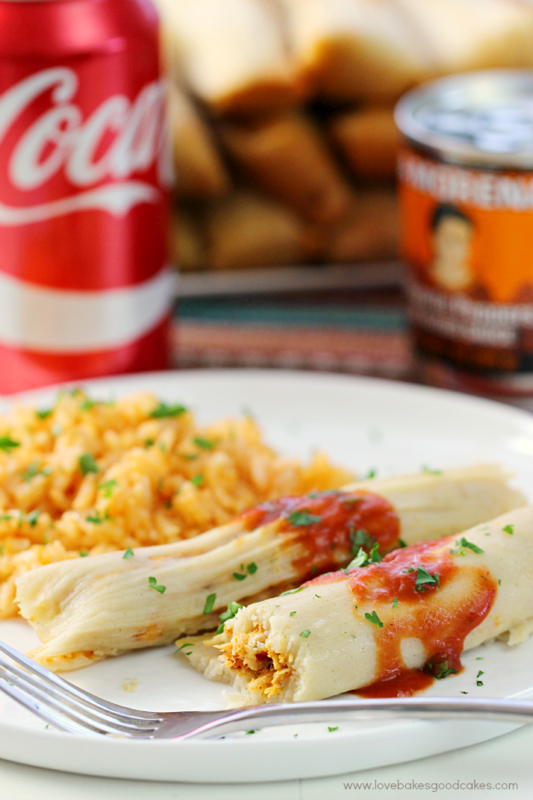 As the hectic holiday season approaches, it gets harder to make quick and easy meals that everyone loves, but with the authentic taste of LA MORENA chiles, beans and salsas and an icy cold Coca-Cola, every night will be one of your family’s favorites! 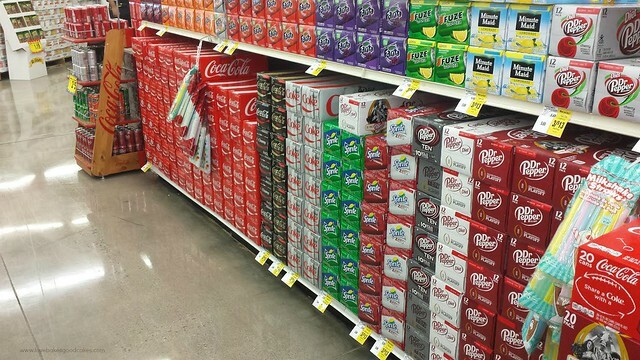 For more amazing recipes from LA MORENA and Coca-Cola, you can search #MejorRecetas – and be sure to look for specially marked displays in your stores for extra savings! 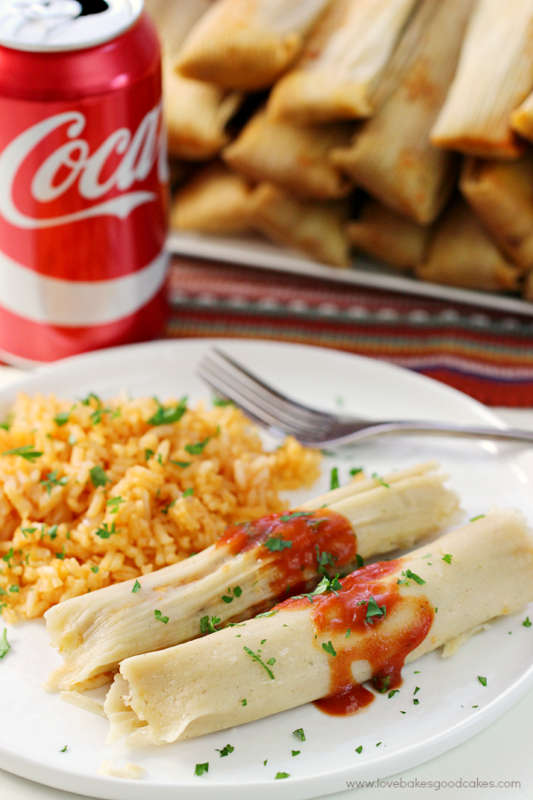 Make any occasion special with these Chipotle Chicken Tamales! 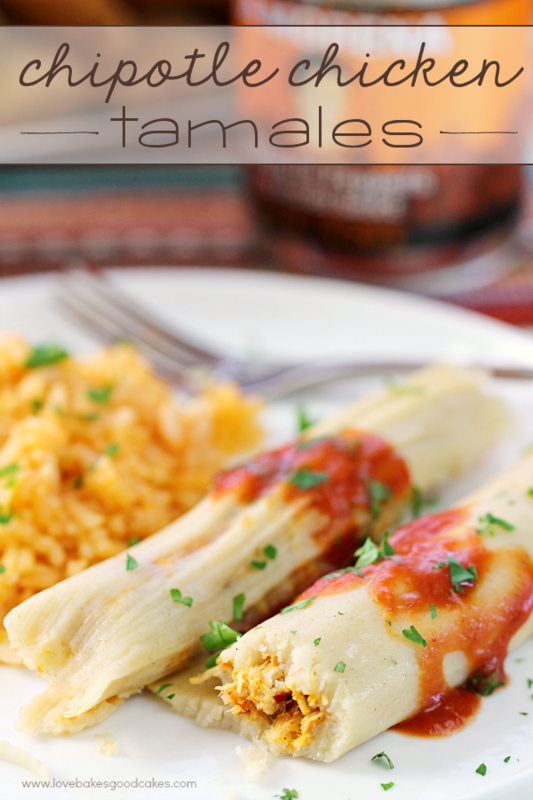 Although they take some time to prepare, tamales are easy to make - let me show you! Pull ¼-inch strings from 4 or 5 of the corn husks to wrap tamales; set aside. In a large pot or bowl, cover corn husks (including pulled strings) with warm water and let stand until pliable, at least one hour. You may need to place a plate or similar object on top to keep them submerged. Meanwhile, in the bowl of an electric mixer, combine all tamale dough ingredients, starting with 6 cups broth. Beat with electric mixer until well combined, adding chicken broth as needed (if necessary) to make a soft dough. In blender, place all filling ingredients except chicken. Cover; blend until smooth. In 3-quart saucepan, add about two-thirds of the tomato mixture from the blender. Cook about 10 minutes, stirring occasionally, until hot. Stir in chicken; cook over medium-low heat about 15 minutes, stirring occasionally, until mixture thickens and the liquid is reduced. Drain corn husks; pat dry with paper towels. Working one at a time, place a corn husk on work surface. Place about 3 tablespoons of tamale dough on larger end of husk and spread into a rectangle approximately 1/4 inch thick, leaving a 1-inch border around edges of husk. Place a heaping tablespoon of filling in a line down center of dough. Fold over sides of husk so dough surrounds filling, then fold bottom of husk up and secure closed by tying a thin strip pulled from another husk around tamale. Repeat with remaining husks, dough, and filling. Fill a large pot with water to 1-inch below steamer insert. Rest tamales upright in a steamer insert or on rack above the water level. Cover and bring to a boil. Reduce heat to medium-low and allow to steam until dough is cooked through and pulls away easily from the husk, about 1 hour. Add more water, if necessary. Remove tamales from steamer and let rest until dough firms up, about 15 minutes. About 20 minutes before serving, heat up the remaining tomato sauce over medium-low heat, stirring occasionally. Carefully unfold each tamale by removing the string and opening husk. Spoon reserved sauce over each tamale, if desired. ** NOTE: Store tamales in refrigerator for up to a week or freeze for up to four months. Defrost and reheat tamales in steamer until warmed through or in microwave on high for 2 minutes. With Thanksgiving, Christmas and the New Year coming up fast, I will be making plenty more of the delicious Chipotle Chicken Tamales! Of course, I may wait until Elijah and Jaden are here so I can a lot of help making them – and eating them, I’m sure! What is your favorite way to use LA MORENA chipotle peppers in adobo sauce? Feel free to leave a comment letting me know! These are on my list to try to make!! I so want to make some this year!! Loving the extra chipotle seasonings!! YUM!! These look awesome. And your photos are so pretty! I am seriously impressed! Homemade tamales!? You're my hero! !